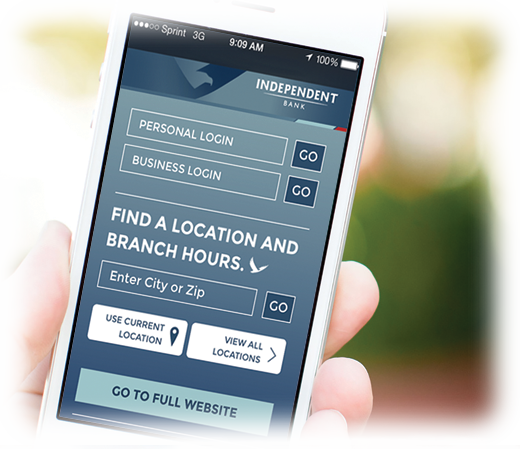 All customers who utilize the Independent Bank mobile app have a new sign-in option that will make the process much easier. With a supported Apple device, you can also sign in with Touch ID! The Touch ID feature is available for Apple® smartphones including iPhone® 5s, iPhone 6, and iPhone 6+ using iOS8® and FIS Mobile Banking Version 3.4. You may choose to use either the Touch ID or passcode option, but can't have both active at the same time. A mobile check image option will be available as well. For any questions, please call 888.300.3193.